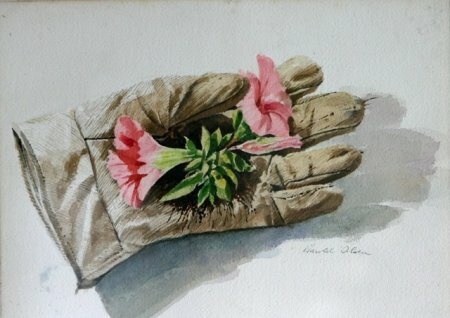 Gardening is a great activity. It's healthy for the mind, body, and soul. It's fun. It's productive. Gardens yield food or beauty, or both! It teaches us to care about the planet. In a way it's very zen. Whether or not you're into home gardens is going to be up to your personality type. But, it is definitely a healthy activity. You know, if there were aliens, and they saw people gardening and understood what it was, I think they would view it as a good human characteristic. Making a good garden takes time, dedication, love, and a little bit of elbow grease. Gardens can come in all shapes and sizes, and there are thousands of different types of flowers, fruits, bushes, herbs, and decorations to put in your garden. You can also have different styles of gardens, like roof gardens and hanging gardens. If you want to start your own garden, the first thing you should do is consider what you may want to put in it. Now, a garden is an evolving thing. What you plant today may be entirely different than what you have to show off ten years from now. So, on the one hand, it is not super crucial to pick the garden elements that are going to be exactly right for you, right now. On the other hand, you don't want to plant a bunch of flowers in your garden that you can't maintain or won't appreciate 2 months from now. So spend a little time picking out a couple of flowers, herbs, or whatever that you think you will like. Anything you find, you should research a little. How long does it take to grow? How does it stand up to weather? How much work is involved to maintain it? There is plenty of information available on different garden flowers and the like for you to determine which ones would be good for your garden. So when it comes to designing your garden, the first thing is obviously to choose your weapons (flower, etc). After that is to decide how big you want the garden to be, and where to put it. Consider whether or not you will be able to want it to expand to take up more area later. 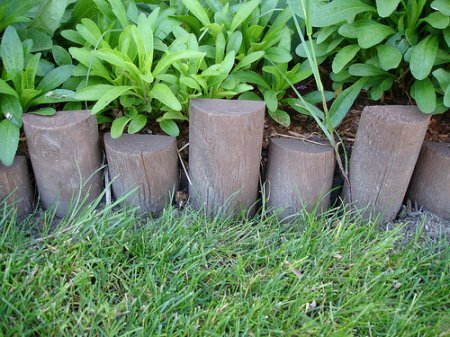 If you want to allow for expansion, your going to want to line your garden with smaller bricks that are easier to move so you can change your mind later. If you are absolutely sure that you don't need room for expansion, you can go with something a little more permanent. The benefit here is that you can have a more pronounced garden if for example you build a 1 or 2 foot wall of bricks, fill it with soil, and get to the gardening. You can't really build a tall garden unless you know you won't need to expand. So you've figured out what you want, where you want it, how big you want it, and whether or not you will expand it. You may need to make sure your daily schedule allows for you to work on your garden, because it is something that takes time and dedication. An hour a day may be all you need, but you will need it every day. If that all checks out for you, then its simply time to obtain your gardening supplies, the flowers, herbs, etc that you have decided to grow, and be off to the races! Share a link to a page on Gardening and we will consider it for placement on this page.